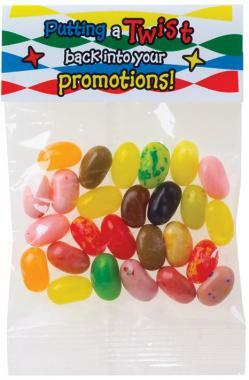 Promotional Items, Inc.™ invites you to select Jelly Belly® Jelly Beans. 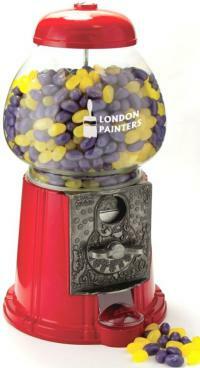 Jelly Belly® Machine-Tins, jelly bean glass jars-tubes-bags custom printed. 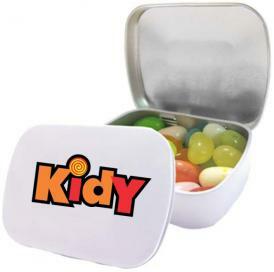 Original gourmet jelly bean, Jelly Belly® is sure to please all lucky enough to receive them. 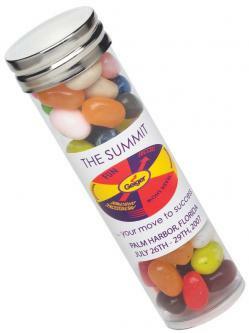 distribute as holiday gifts, trade show giveaways, advertising & marketing. 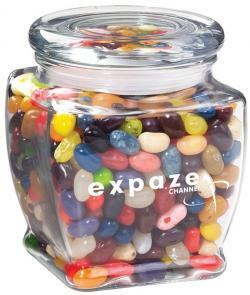 Employees love Jelly Belly® too so don't forget to include them as well. 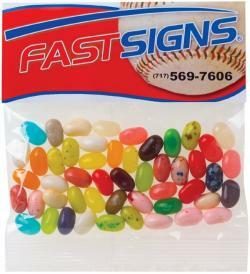 Browse below to buy Jelly Belly® Jelly Beans packaged with your logo. 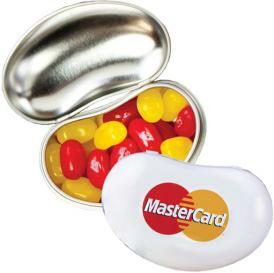 Visit our Promotional Mints page for related marketing products. 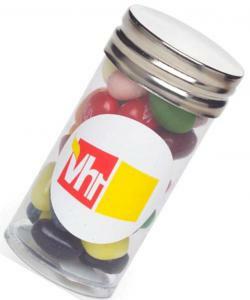 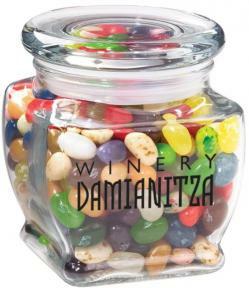 Glass Jars, Tubes and Header Bags custom printed with your logo for delicious promotional items.